Dr. Stacy Ellis will travel to you if you have four or more individuals that register for the workshop in other states and six or more registered in other countries. Please inquire at [email protected] for more details. Did you know that 80% of all we EVER learn is imprinted by age FIVE?! As a child, we inevitably experienced pain or suffering that we could not acknowledge and/or deal with sufficiently at the time. These experiences became imprinted into our subconscious as beliefs about ourselves and the world. These beliefs become our stories that are lived out in the body as triggers and distortions in the adult mind. As adults, we typically become triggered by experiences that are reminiscent of these old painful feelings. As a result, we typically turn to a habitual, defensive, or addictive way of trying to manage these painful feelings. The majority of us are making choices based on avoiding triggers instead of from a place of love and freedom. 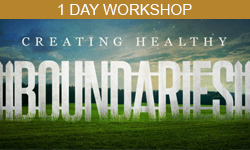 This workshop is an opportunity to identify YOUR subconscious childhood learning. Get to the root of what triggers and stories are running your life and release the faulty learning at the neurological level. We replace the faulty learning with new beliefs about yourself and the world. This clears the nervous system of old learning and allows for new programming to happen. We also go through a deep experiential process of reconnecting to the subconscious inner child. You learn how to integrate the inner child and the logical adult so that you can be whole and functional together. I had conventional and unconventional training in all the modalities used in this training. I had the privilege of working with many mentors around the country over the past two years that have unique offerings for this deprogramming process. Doing this work personally has been one of the most valuable and life changes experiences. I have witnessed the permanent changes in patients, peers, and loved ones. I look forward to guiding you through this part of your journey. "I would recommend this workshop to anyone who has parents." "The workshop has changed my life in ways I would have never imagined. I can see and feel the continued growth and healing in my life. I think the entire world should take your workshop, there would be so much healing and self love that it would change humanity as we know it. Since the workshop I am grounded in my self, my decisions, my value, and my worthiness. I have built a relationship with my little girl that is very close to me. I would recommend this workshop to anyone who has parents. Thank you for the true healing in my life that I have been seeking for more than a 10 years." "I can say that this workshop was an unforgettable experience and life changing." "I can say that this workshop was an unforgettable experience and life changing. I was able to release a lot of negative emotions and energy and felt on top of the world and "lighter" when I left. I learned a lot of good modalities that I am able to use at home and Stacy gives 150% of herself to the work and to each of us. I would do it again and recommend it to anyone, we all have "childhood issues" we need to deal with, whether we know it or not." 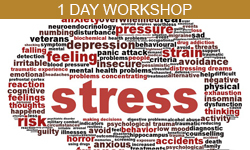 "I'd recommend this to anyone who is sincerely ready to take their lives to the next level"
"I've done a lot of different workshops and personal growth over the years, and this was by far the most productive, focused and potent workshop to date. I loved how Dr. Stacy Ellis brought the three different modalities together. Releasing tension, dissolving old frameworks, stories, belief systems; reprogramming our brains and bodies with new affirming thoughts and beliefs was exciting, fascinating and extremely powerful. Honestly, I'd recommend this to anyone who is sincerely ready to take their lives to the next level." "100 years from now, this workshop will be in all of the textbooks"
"This is coming from someone who doubted the validity of this work. The only reason I did this is because I trusted the science and I also trusted the facilitator, Stacy Ellis. I was kind of resistant at first… That being said, I would give all of my money and all of my possessions including my career and reputation to keep what I got from this workshop. What I got from this is priceless and it's now the most valuable thing I own. 100 years from now, this workshop will be in all of the textbooks as the turning point in modern psychology. This workshop is the beginning of a new era that will slowly but surely take over the world of medicine - not just psychology but also for hospitals and health clinics all over the world. In a very literally way, it reprogrammed my subconscious brain and I am already noticing profound changes in my life." "for humans seeking a more enlightened awareness"
"My experience in the Healing Early Childhood Workshop was a necessary step for my souls evolution. This workshop is essential for those seeking to clear out stuff that isn’t yours and for humans seeking a more enlightened awareness of their complexity." "This workshop was eye-opening, motivating, and exhausting (in the best way possible). After doing this deep-dive, I feel like I can finally start to make sense of things in my life that have been a mystery or that I have just accepted as me. Looking forward to seeing what goals I can accomplish and walls I can tear down with my newfound identity." "Thank you Dr. Stacy for this amazing experience. Two weeks after finishing the workshop, I still feel unique relief and calmness. These four days gave me a new perspective to view and approach life! The modalities I learned are helping me and everyone around me to better communicate and be more loving and patient. I recommend every single person to attend this workshop! It is life changing! Thank you again!"